There’s just something glamorous about long, lush eyelashes. When I was younger, I didn’t have to work at all to get Snuffleupagus-esque lashes. They grew and fluttered, effortlessly. But over the past few years, I’ve noticed that my lashes have become shorter and thinner. Rumor has it, this can happen with (whispered tone) age. Over the last few years, if a product promised longer, fuller, darker lashes, I tried it. Extensions. Latisse. LashDip. And just about every mascara on the market. Here’s what I’ve learned on my quest for longer, thicker, darker lashes. I first tried lash extensions before my wedding three years ago. After two applications, I was hooked. They looked great. They felt great. And in wedding photos, my eyes popped. Within a few months though, I developed an allergy to the adhesive used to apply the extensions. When the extensions were removed I lost most of my eyelashes, and it took about two months for my lashes to regrow. Lash extensions give you the look of longer, thicker, fuller lashes. They wear well in water (swimming and showering). They wear well while exercising and sweating. You can go without makeup and still have a somewhat natural, but put together look. You don’t have to apply mascara. They are expensive. Applying the first full set can cost between $250 – $450. Touchups every 2 – 4 weeks can cost $85 – $115. Upkeep is time consuming. The first application takes about two hours. Touchups every 2 – 4 weeks can take an hour or more. A chemical adhesive is used to apply the synthetic lashes to your natural lashes. You can develop an allergy to the adhesive which will make your eyes red, itchy, and swollen. It can also cause you to lose your own lashes. Your own lashes may weaken under the stress of supporting the weight of the synthetic lashes and the adhesive. After wearing them of a while, I found that my lashes began to grow in sporadically with gaps here and there and lashes growing in the wrong direction. LashDip is the newest craze to hit the beauty world. It’s a semi-permanent, black gel coating that is professionally applied to your lashes, promising fuller, thicker lashes. I tried LashDip recently. The first day, my lashes looked as though I were wearing mascara. By day two, my eyelids felt tight and itchy. By day three, my eyes were red and swollen due to the allergic reaction to the gel coating. As instructed, I used baby oil to remove the coating, which was not an easy task. It took me over twenty-four hours to remove the coating that was causing the irritation. Because of the redness and swelling, I canceled my social plans and stayed home for a couple of days. After the LashDip is applied, you will have the look of wearing mascara without any smudging or flaking. The application process is not as time consuming as having lash extensions applied. LashDip also offers lash extensions for added fullness. Here’s a photo of showing the results after one eye was complete. It’s expensive. Price ranges from $200 -$300 per application. Upkeep is time consuming. The application lasts about four weeks and fades noticeably after two weeks. It’s not a remarkable difference from wearing mascara. It can cause irritation, redness, or swelling if you are allergic or sensitive to the ingredients. 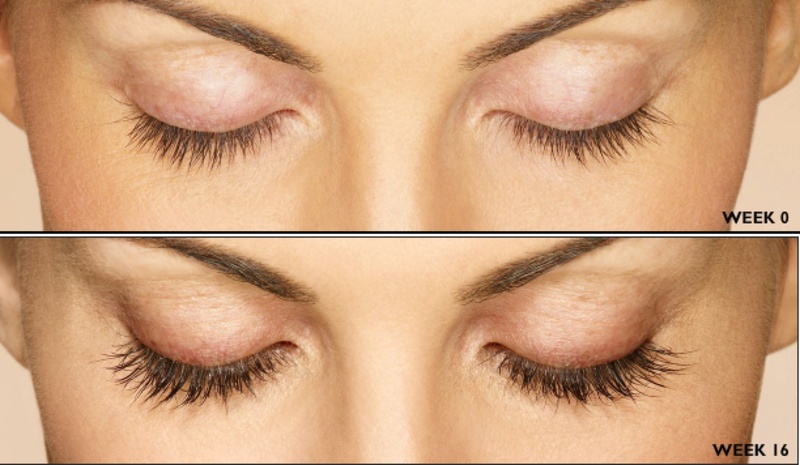 Eyelash tinting is a process used to make the eye lashes darker. I have not tried tinting as I’ve been concerned about the ingredients in the dye. After some research, here’s what I learned. It’s reasonably priced at $18 – $30 per treatment. It gives the appearance of a darker lash line. Application is not as time consuming as other treatments. Some lash tints contain less harmful vegetable-based dyes. Eyelash tinting is not FDA approved. Be cautious when selecting a provider. It can cause redness and irritation. Lasts only four to six weeks. It’s not beneficial for someone with dark lashes. It works best on light colored lashes. Doesn’t add fullness or length. Latisse, Revitalash, and LiLash are a few of the eyelash growth serums on the market. I have tried Latisse and Revitalash. While I have been pleased with the results of Latisse, I didn’t notice much of a difference using Revitalash. I have heard good reviews about LiLash and will try it soon. Here’s the good and the bad about Latisse. It works. Within six weeks I noticed a remarkable difference in the length and thickness of my lashes. Over 80% of people who use it also experience the benefits. It’s FDA approved as the only drug prescribed for growing longer, thicker lashes. Upkeep is easy. No touch up appointments needed. I leave my bottle of Latisse in between my nighttime skin care creams so that I don’t forget to apply it before bed. It’s a drug that must be prescribed by a doctor. It has reported side effects that include redness and irritation on the lash line, discoloration of the skin below the eye, and darkening of the iris of the eye in people who have blue or green eyes. It’s pricey. A 5 ml bottle of Latisse costs between $159 – $189 and lasts about 2 months. I have not experienced any of the negative side effects mentioned above. But I have experienced the benefit of longer, thicker, fuller lashes! Make your Latisse last longer: a 5 ml bottle of Latisse comes with 140 thick applicator brushes. Instead of using one of the thick brushes every time you apply your Latisse, use a thinner eyeliner brush. You will use less product with each application. Be sure though to rinse the brush in hot water before and after each use to avoid using a contaminated brush on your eyelid. Use Latisse on your eyebrows to ensure they stay dark and full, especially on the area near the outside corner of your eye. That’s where (whispered tone) age starts to erase your joyful, youthful brow line. And there you have it. With Latisse and a little patience, longer, fuller, thicker eyelashes are yours for the growing. Now get out there and bat those lashes! This entry was posted in Beauty & Anti-Aging on February 5, 2014 by Karena.